We are now accepting applications for the 2019-2020 school year. Please contact the office for more information or to receive an application package. 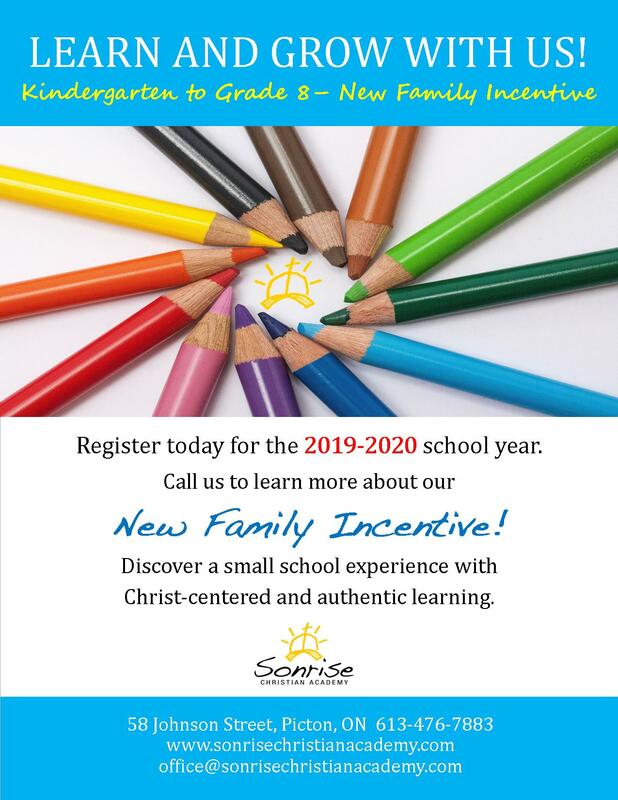 New for the 2019-2020 school year- call us today to find out about our New Family Incentive! Sonrise Christian Academy welcomes applications from all families. Families who wish to attend SCA must successfully complete the following stages. Students carrying through from the preceding school year and are qualified for re-enrolment are given a priority standing.